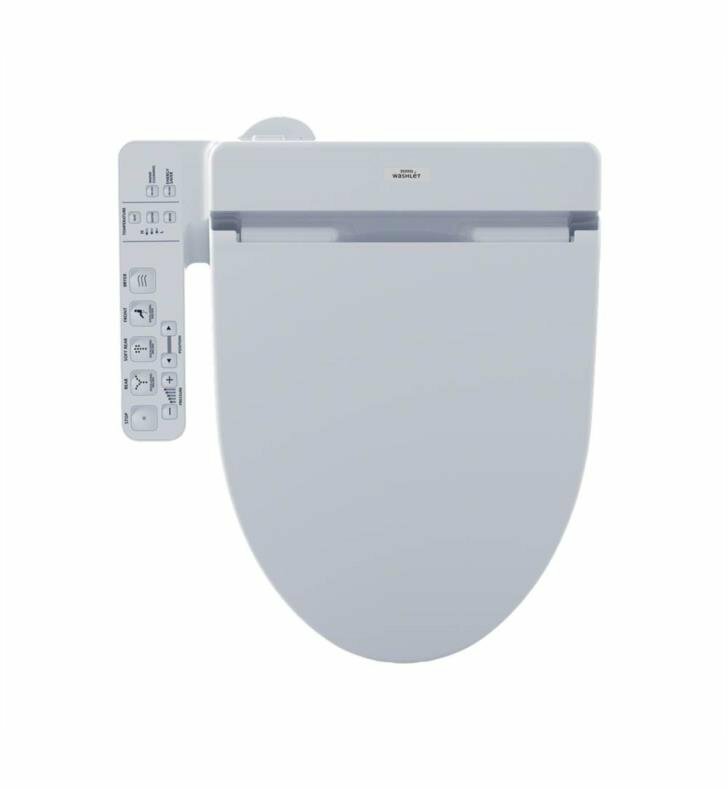 This C100 Elongated Washlet is equipped with Electric Arm & Concealed Supply Connection with Premist and is designed to conceal the Washlet bidet seat's power cord and water supply hose for a seamless installation. The Connect Washlet is designed to work with TOTO Connect+ toilets. Toilet Seat with Premist delivers ecology-minded luxury in a streamlined design. The Washlet C100 is fully automated, featuring a soft rear spray, rear cleanse, and front cleanse with the option of an oscillating stream. The controls are located on a convenient arm control panel. The Premist function sprays the bowl with water before each use, the wand is self-cleaning, automatically cleaning itself before and after every use. The Washlet features a heated SoftClose seat with three temperature settings. The temperature and pressure of the water are adjustable with three temperature settings and five pressure settings. The Washlet features an air deodorizer and a warm air dryer with three temperature settings. Using a Washlet reduces the amount of toilet paper needed. Medical conditions such as ALS, MS and other debilitating illnesses can make using the bathroom without assistance almost impossible, but with a Washlet, just the touch of a button can leave you feeling clean. W 18 7/8" x L 20 7/8" x H 7 3/8"